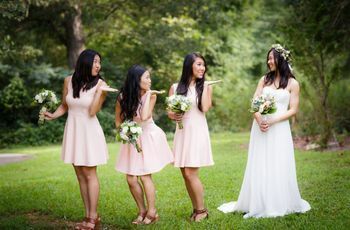 We’ve covered off on the basic duties of being a bridesmaid, but when it comes to attending all the fun activities, there might be some extra expenses you forget to factor into your budget. 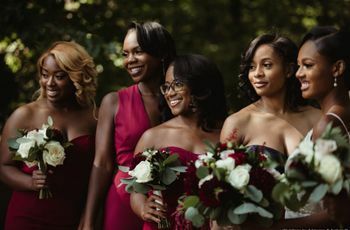 Here are nine expenses to look out for if you are a bridesmaid. 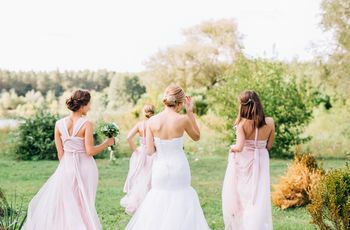 Bridesmaid dresses are usually not made to measure right off the racks, so it's likely that you'll need some minor alterations such as tightening the straps, adjusting the hem, or taking in the bodice. If the bride wants you to wear any specific accessories, it's proper etiquette for her to gift it to you. However, she may ask that you wear a certain color of shoe, in which case you'll need to purchase if you don't always own it. Depending on the style of the bridesmaid dress, you may need to buy special undergarments, too. The maid of honor will likely lead the styling for this soirée, but you may be asked to pitch in some $$ for decor. After all, planning the perfect party can be pricey. From the invitations to banners and plates to napkins (plus, those striped straws for the signature cocktail), it all adds up! 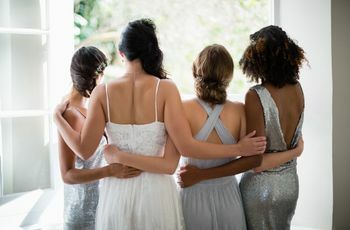 Whether you are hopping on a plane to Las Vegas or driving in the car to Nashville, a destination bachelorette party can get expensive. If you’re stocking up on swag such as tank tops, sashes, koozies, etc., then be prepared to shell out cash to complete your “last fling before the ring” look. The bride should give you the option to have your hair and makeup done by an on-site professional the morning of her wedding. If you choose to have one or the other, you will most likely have to pay for the pampering and primping. The bride will want you to look your absolute best from head to toe—literally! 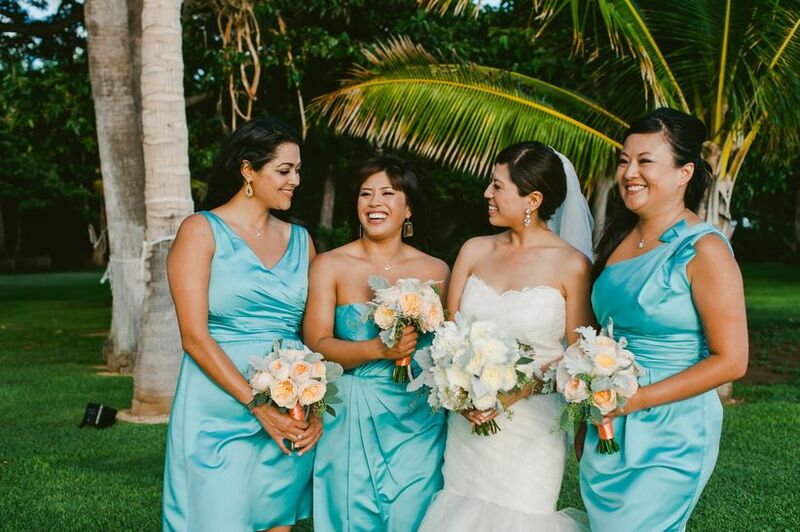 Determine a mani/pedi time with other fellow bridesmaids a few days before the fête. 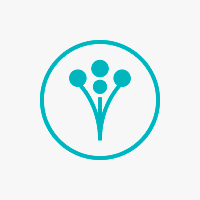 Tip: Consider applying a pastel polish for a spring wedding, a bright and bold polish for a summer wedding, a neutral polish for a fall wedding, or a shimmer and sparkle polish for a winter wedding. You're going to need a place to crash after the after-party. Be sure to ask about any discounts or deals from the block of hotel rooms. And hurry, accommodations tend to get snapped up quickly! Check the couple’s website to see if they're offering shuttles to and from the ceremony and reception. If not, you will have to do some research on which types of cheap public transportation are available in the area (i.e. cabs, buses, trains, subways, etc.). Did you think you could get away with buying (or renting) only one dress? Nope, not when you're a bridesmaid! Between the engagement party, bridal shower, bachelorette party, and rehearsal dinner, it's possible you’ll be shopping for more than just the wedding. It's not such a bad idea to sneak a peek inside a family or friend’s closet to borrow a LBD.